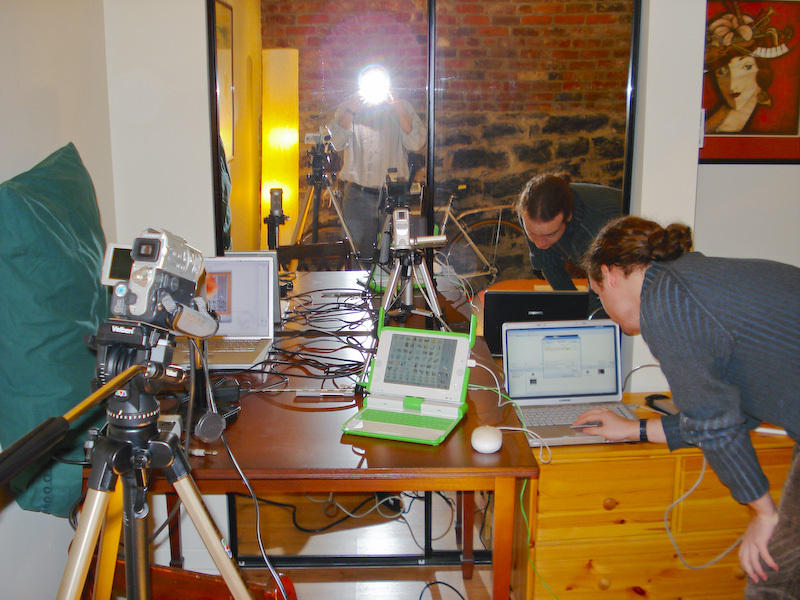 During the last couple of months I was invited to show TamTam and the XO at local TV stations. Here are the 2 interviews I was part of. The next stable XO build will see the first beta release of the TamTam music editor. 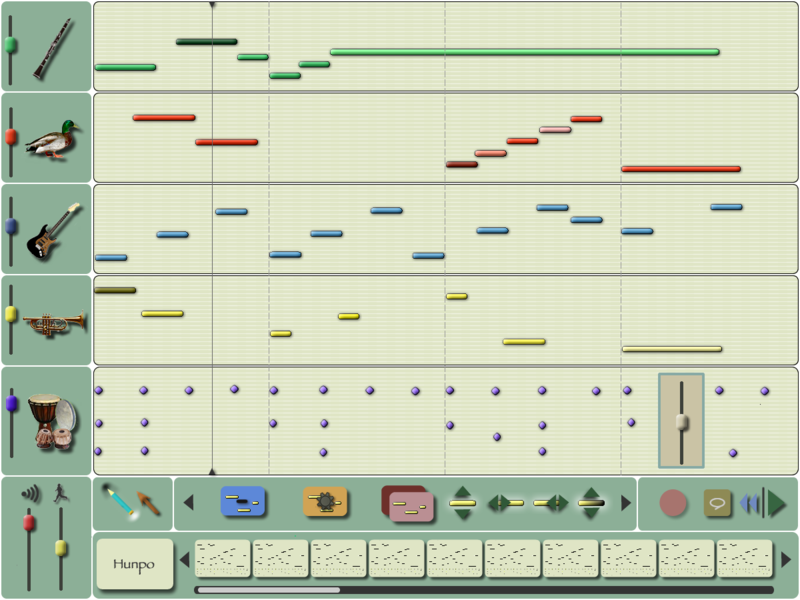 TamTam Edit is a page driven event sequencer featuring a powerful music generator, a colorful and intuitive graphical interface to create, modify and organise notes on five virtual “tracks”, a palette of close to a hundred sounds and a music construction model that allows virtually limitless variations in all musical styles. TamTam Edit joins miniTamTam and TamTam synthLab as the third component of a complete music and sound creation and collaboration environment on the XO. THe fourth component consisting of a collaborative playing and composing tool will be forthcoming as soon as the mesh network technology stabilises. TamTam Edit uses about 55-65% of the CPU when running full tilt and presently occupies about 20MB of ram. We extend full kudos to James Bergstra of the Université de Montréal and Adrian Martin of the University of Toronto for making this a reality. Given the constraints, this is no small feat. Olivier Bélanger and Nathanaël Lécaudé, both of the Université de Montréal have also contributed an enormous amount of hours to create what is turning out to be a package we are extremely proud of. Watch this page for another in our series of tutotrial videos. 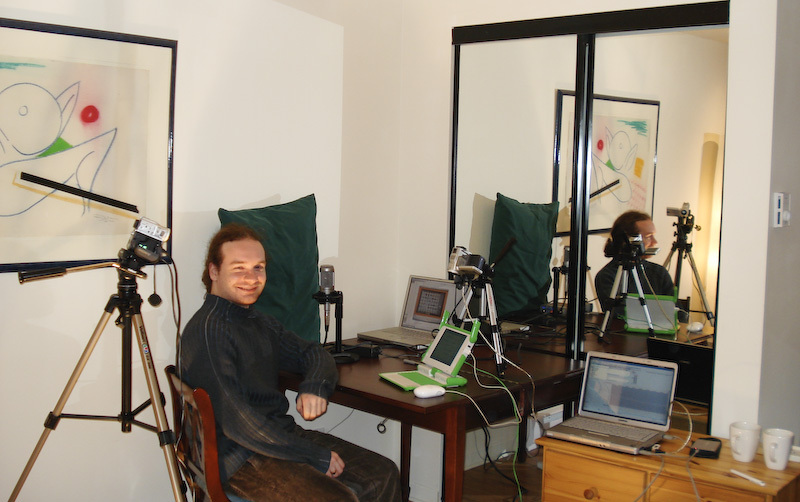 Here is a small interview I did in December about TamTam and the OLPC. Please note that it is in French. A nice Saturday morning surprise from Ivan. We think its a bit over the top but, goodness, we’ll take it! Doing the video turned out to be a fantastic idea. Interest in the work has blossomed tremendously since the post on YouTube. 1600 hits in a few days. We are quite surprised and encouraged. I hope people take notice. We should be doing this for all software developments on the XO. Nat and I are gearing up for more videos tomorrow. Stay tuned! Here is part 1 of our tutorial series : miniTamTam, enjoy ! 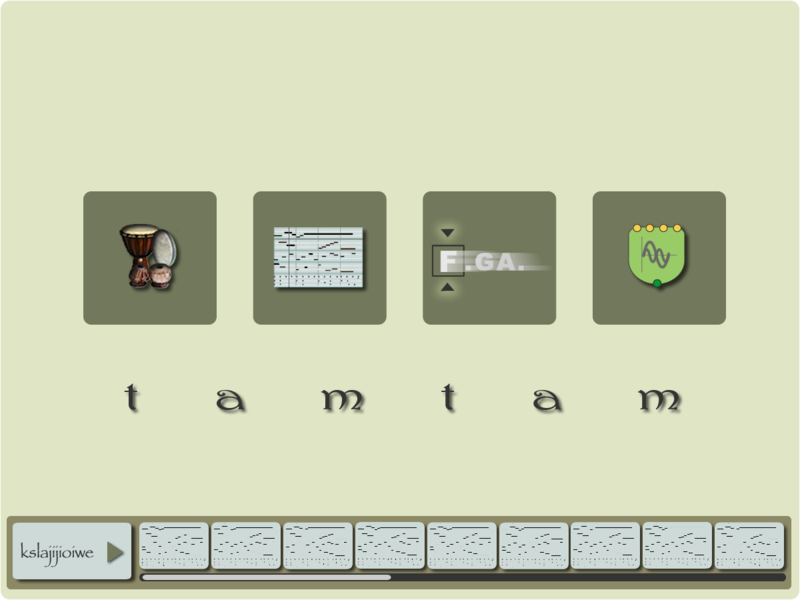 Check this blog soon for 2 shiny videos on how to use miniTamTam and TamTam SynthLab. Final Btest-2 build is coming soon and we’ll have a nice TamTam package for it, stay tuned ! Amazing audio performance on the XO! We just ran three instances of miniTamTam on the XO wtihout audio dropout. This means three drumkits + 6 keyboard voices + three reverbs. While this was going on, we started AbiWord and the audio did not breakup. Mind you this is at 16k sampling rate, which isn’t going to impress audiophiles anywhere but it sounds pretty remarkably good even on headphones. The XO speakers also give out a nice punchy sound. A problem remains with Gtk events preempting TamTam’s timing loops whenever there are mouse enter/leave events leading to slow down in the beats while csound is being starved of notes. We are now confident that we can solve this by using separate thread in our python code for anything dealing with interacction and graphics.